IPL 2019, KXIP vs MI Preview: Is Punjab ready for Jasprit Bumrah show? In match 32 of the VIVO Indian Premier League 2019 (IPL 2019), Kings XI Punjab (KXIP) will host Rajasthan Royals (RR) at IS Bindra Stadium in Mohali on Tuesday. R Ashwin's KXIP have its batsmen in form but their bowlers have not been able to strike and save runs for the team. For Rajasthan, the batting side looks solid with Jos Buttler in complete control and he will be on KXIP's target list as his early dismissal would be crucial. Ajinkya Rahane's Rajasthan have one of the best playing 11 line-up yet they have performed poorly in the IPL 2019, the side would look to eliminate minor flaws in decision making to convert a decent overall show to victory. In their last game against RCB, Punjab's bowling failed to defend a total of 173 runs against RCB set up up by Chris Gayle's 99-run blitz. Mohammad Shami, Andrew Tye and all-rounder Sam Curran are leaking too many runs whil R Ashwin and Murugan Ashwin have been intrumental in putting batsmen on a leash and picking wickets. Punjab openers KL Rahul, who scored 100 against Mumbai and Chris Gayle, who scored 99 against RCB are in supreme form and have the likes of Mayank Agarwal, David Miller, Sam Curran and Mandeep Singh to bolster their batting, but they will need to play good knocks to support their openers. Rajasthan come into this match after defeating Mumbai Indians at the Wankhede Stadium by four wickets and are currently placed at the seventh spot with two wins from seven matches. The only other match which Rajasthan won was against RCB, in which Buttler again played a key role, hitting 59 runs when his team was chasing a target of 159. For Rajasthan, Buttler has been the top-scorer but their batting line-up also includes skipper Rahane, Samson and Steve Smith. Rajasthan Royals pacer Jofra Archer has troubled the batsmen with his fast bouncers and deadly yorkers and would look for another good outing Tuesday. Among others, spinner Shreyas Gopal would be a key player. Ben Strokes had missed the last match due to an injury and it remains to be seen if he makes a comeback against Punjab. KXIP vs RR match live streaming will be available live on Star Sports 1 HD, Star Sports 1 in English Commentary and Star Sports 1 Hindi, Star Sports 1 Hindi HD in Hindi Commentary. One can also live stream the KXIP vs RR 2019 IPL match on Hotstar app and Tatasky app. The fans can also watch in-depth analysis of live match on Star Sports Select 1, Star Sports Select 1 HD. 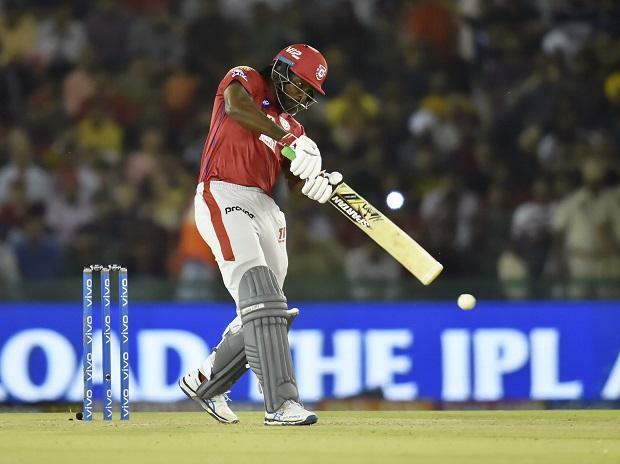 Kings XI Punjab: Lokesh Rahul (WK), Chris Gayle, Mayank Agarwal, Sarfaraz Khan, David Miller, Mandeep Singh, Sam Curran, Ravichandran Ashwin (C), Andrew Tye, Murugan Ashwin, Mohammed Shami, Mujeeb Ur Rehman, Karun Nair, Moises Henriques, Varun Chakravarthi, Harpreet Brar, Simran Singh, Nicholas Pooran (WK), Hardus Viljoen, Ankit Rajpoot, Arshdeep Singh, Darshan Nalkande, Agnivesh Ayachi. Match starts at 8 pm.